Have you ever taken a moment to think about how your vehicle's tires are made? Probably not, yet doing so may help you better understand what goes into our tire repair service. More than just a few inches of thick rubber, your tires are actually made from layer after layer of fabric cords called plies. These plies sit atop steel belts that help to reinforce both the sidewall and the treads, which is formed from several layers of synthetic rubber. Steel cable loops called beads give the tire the strength needed to stay seated on the rim. Once those components are placed together, they are run through a curing machine which cuts the tread pattern and bonds all the components together. 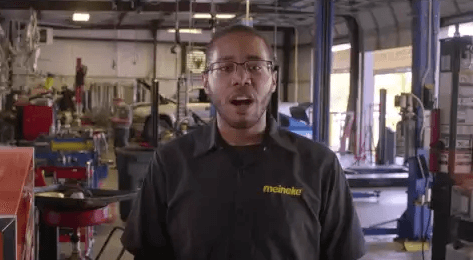 To learn more about tires, including tire repair cost, visit Meineke #1381 in Lawrence, KS today. The question of "why are tires so important?" typically comes up when the need for a tire repair shop arises. It is a question that deserves some thought. Nearly every aspect of your vehicle's performance, including braking, acceleration, steering, traction, and handling, are all largely dependent on tire performance. Issues with the tread, balance, or stability of your tires and wheels could affect your control of your vehicle in an emergency situation. Thus, if you suspect any problems, you should visit Meineke #1381 in Lawrence, KS for repair or tire change service right away. What are some signs that you need your tires or wheels repaired? Some may seem fairly obvious. A puncture or blowout will typically have you on the computer or phone researching all of your "flat tire repair near me" options. However, there are other, less subtle signs that your wheels or tires are in need of service. One may be if you experience issues with your vehicle's performance, such as a noticeable shaking in the steering wheel or the entire vehicle whenever you go above 40 mph. Another may be uneven wear across the tread of each of your vehicle's tires. 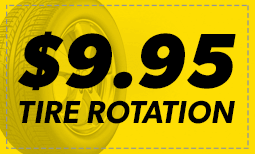 A quick balance or tire rotation service done at Meineke #1381 in Lawrence, KS can help you avoid ending up getting stranded on the side of the road. Neglecting to inspect or replace your tires can be dangerous in the long-run. If your tires are worn down, you may have difficulties handling your vehicle during adverse weather. Sleet, rain, and ice can easily send a vehicle with little tread spinning. During rainstorms, your vehicle will be more susceptible to hydroplaning, and you may experience longer stopping times and distances. Both of these issues have the potential to cause severe injury to drivers and passengers. Naturally, we want to help you avoid such situations. Contact our Lawrence, KS, and Meineke #1381 to schedule a professional inspection of your tires. The great thing about tires is that they usually show clear signs when they need to be replaced or serviced. Damaged side walls may be cracked and broken if the tire is old or failing. Tread on the tire may also seem noticeably low, further indicating the need for a tire repair service. In severe cases, your tires may be so damaged, you can feel or see the belts, or insides, of the tire. Wear on one side, or not enough wear along both sides of your tire also indicates a problem. If any of these happen to your vehicle, immediately contact Meineke #1381 in Lawrence, KS to help you safely get back on the road. Drivers can expect high-quality service from us, but we also understand that tire repair cost and tire replacement cost are important to consider as well. If you are experiencing issues with your steering and suspension, you may also be curious about our tire rotation cost. We realize that vehicle maintenance and repair can be expensive, which is why we strive to offer some of the most affordable prices in the industry to our customers. Your local store may also offer various coupons and discounts. Call our Lawrence, KS, Meineke #1381 store for additional information about our services.